What was the world of Geelong's legendary Thomas Ambrose Bowen (1916-1982) really like? What do those who who flocked to him have to say about his talent to "fix them" when credentialed and envious others failed? Step into Tom's time - the '40s to early '80s, brought alive by the memory of touch and his attentive, but no-fuss presence. Meet his grateful patients and Rene Horwood, loyal clinic organiser and enduring ally to the end. There's Ron Garner, a forgotten comate till now who stops awhile bringing gifts of White Magic. Be surprised at what's in store and what three of his professional apprentices Drs.Neave, Smeeton and Ryan reveal about Tom's healing hands and the unsung finesse at the heart of his work. Former politician Rod Mackenzie, OAM shows us the parliamentary gates that opened to the cold, regulatory winds of change that robbed Tom of due recognition for his life's accomplishments. With Heather, a daughter's insight; join sister Agnes in childhood and at the end for a forbidden cigarette. Finally, a second leg amputation courted by the cause of his untimely death. 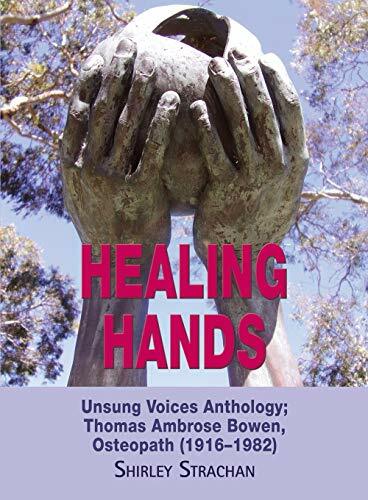 Healing Hands, Unsung Voices is a celebratory centennial anthology in memory of a gifted and exceptional human being.